The clever sideKick tray holder lets you attach an additional tray to your tripod. Perfect for papers, mouse, light tools, etc. and a 24.5 cm x 28 cm tray. 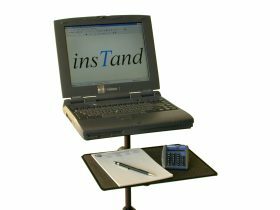 It clamps onto the tripod and provides additional space for papers, mouse, printers, or just for more workspace. 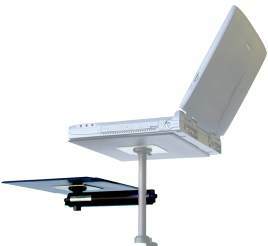 The sideKick can also be used with the CR5 heavy duty insTand to hold projectors and laptops simultaneously. 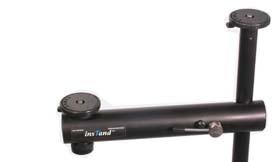 can be adjusted vertically and horizontally. 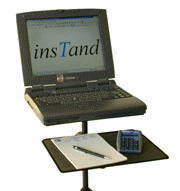 can be rotated to the most convenient position.